Actor Jeremy Irons sits with Larry King to discuss his work in the feature film 'The Man Who Knew Infinity.' The film, which also stars Dev Patel, tells the story of a mathematics genius who emigrates from England to attend Cambridge prior to the start of World War I. Irons plays G.H. Hardy, the cantankerous Cambridge professor who takes the young prodigy under his wing. Irons speaks to the gripping nature of the work, and how much he enjoyed collaborating with the movie's director Matt Brown. 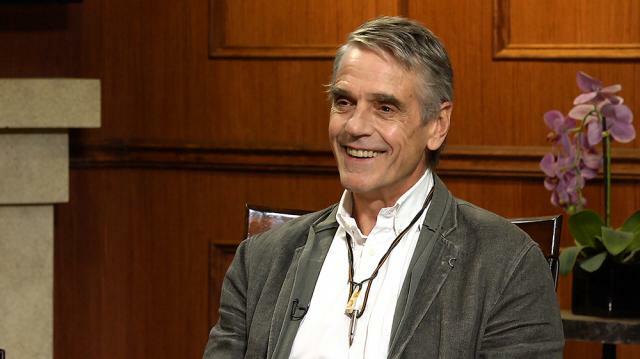 Then, the legendary Jeremy Irons gives his take on the American election, citing a general dislike people have towards politicians, as well as the impact that global capitalism has had on people from all walks of life. Then, Larry and the storied performer turn their attention to some of the changes that have undergone the film industry since Irons started his career. He feels that the ever increasing need for a film's publicity comes from an effort to make sure that each film stands out from the competition. Finally, Larry King asks Jeremy Irons to clarify his opinions on everything from knighthood to smoking. The two speak to the possibility of the actor possibly writing a memoir someday, though Irons feels it may never happen, as life tends to get in the way.